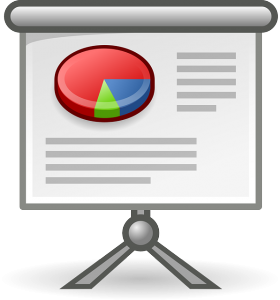 Posted on March 5, 2016 by Hector M.
One of the most used ways for curriculum delivery by teachers of e-learning courses to students and other colleagues is via PowerPoint presentations. This step by step useful guide on how to easily email a PowerPoint presentation or an e-learning course can come in handy. Most e-learning courses and PowerPoint presentations usually contain numerous hyperlinks and loads of files. They are also very large in size which makes it almost impossible to share because of size limit restrictions. However, if a teacher is able to email the actual files to students or even an email link, this can make it much easier to share. Below are some of the best, fastest and easiest ways to share or email your next PowerPoint presentation or e-learning course with others. One of the best and easiest ways to be able to send or share your PowerPoint or e-learning course with someone is by turning it to a video. Once that has been done, the next step is to convert that video in an MP4 file. You can also resize your video in order to change its size to a much smaller size by changing its resolution and other options. This can be easily done by using our easy to use video converter here. You first save your completed e-learning course or PowerPoint presentation on your computer or device. Open whatever email program you normally use. Make sure you add the names of the recipients to which you wish to send the file to. Select and click on the attach file button found on the email program. (most programs have an icon resembling a paper clip). Once there, go to the source in your computer or hard drive where the file is store. Select it and hit ok.
After doing so, the file should begin to upload to the email server. The time it takes to upload will depend on the size of the file and your Internet speed. Once done, hit send and the file should be on its way. iCloud services are being used now for hundreds of different things all over the world. These cloud hosting services allow users to save space on their drives, cellular phones or other devices by storing it on another cloud server. If you upload your PowerPoint presentation or e-learning course to your cloud, you can then share it with anyone you choose to. Simply send them a link directing them to the source file. You can even share it with everyone around the world if you decide to make the file public. There is a great advantage about using a cloud hosting server. Users who do not have PowerPoint or other software usually required to view such files installed, can easily view it once you share it with them. The other benefit is that the files remain safe on your cloud server for as long as you want to. For those really large presentations, it may be necessary to turn them into smaller sizes by compressing them in order to share them with others. You can do this whenever they are too large to be sent as an attachment. You can also upload it to services like Google Drive or Dropbox. Once the file is uploaded there, you can share it with others via email link provided by them. Find your hard drive icon and right click on it. Select the compressed folder where the zip file is located. Once you are logged into your file hosting services , be sure to follow the proper steps to upload it. Next you will select the people whom you want to share the file with. You will get a link to share the file with others or one will be sent to them once you enter their email. When the link has been received by the others, they can simply choose to download the file or view it Online. We hope this guide on how to easily email a PowerPoint presentation or an e-learning course has been useful and helpful to you. These are some of the most basic and best ways to share your e-learning courses or PowerPoint presentations with others all over the world. Remember, you can always convert many different files easily here on Online Convert with into hundreds of formats.